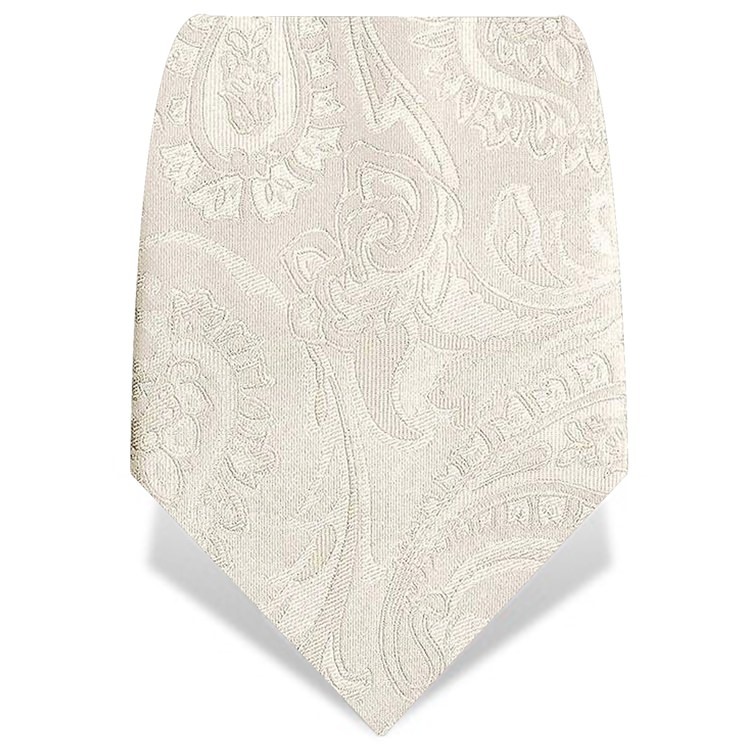 100% silk woven tie with a subtle paisley design throughout. In a crisp and classic white. 150cm X 8cm. Dry clean only.